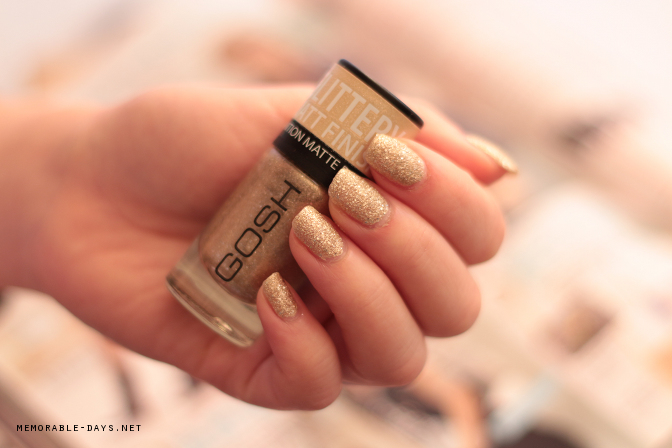 Swatches: GOSH - Frosted Gold 02 Glittery Matt Finish | Memorable Days : Beauty Blog - Korean Beauty, European, American Product Reviews. 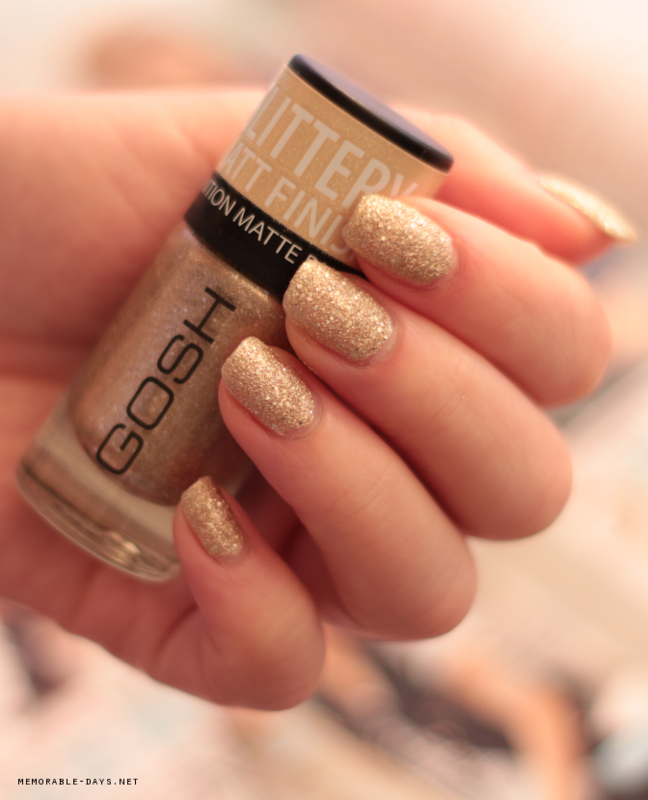 Today I'm going to show you some swatches of this gorgeous nail polish from GOSH Cosmetics. I fell in love with their glittery matt nail polishes. A while back I was at the Simply PR press day and one of the girls from Simply PR had this nail polish on and I directly fell in love and had to have it myself. 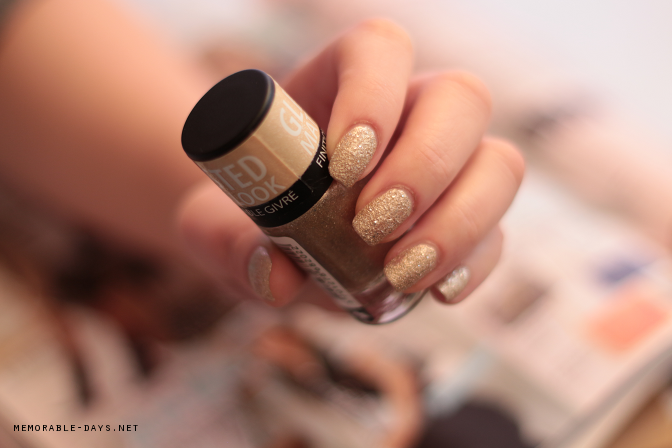 You gotta see how gorgeous this nail polish is! 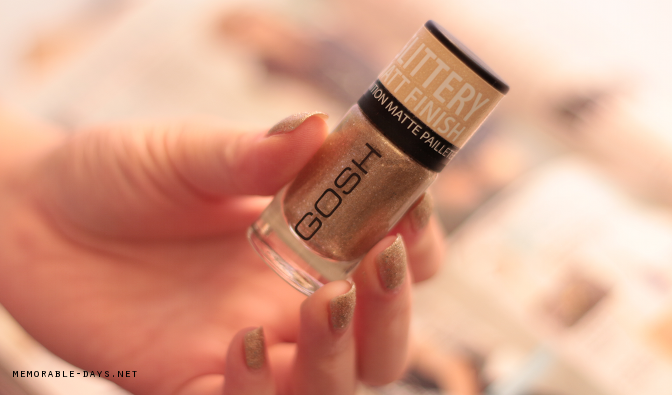 This nail polish is available at the local drugstore, Kruidvat in The Netherlands and Belgium. It's also available in frosted silver and frosted purple. It's sold for €7,25 per nail polish. 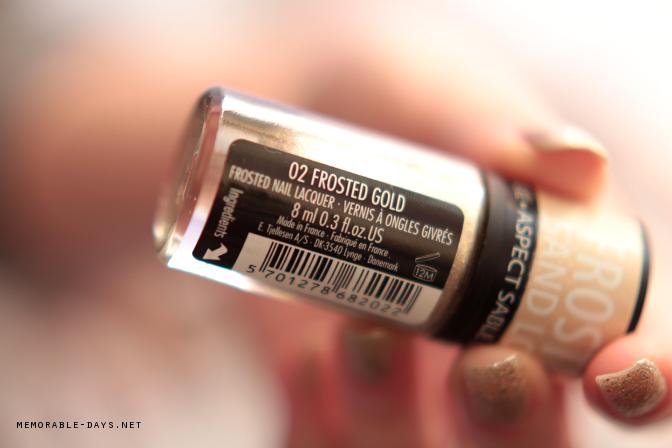 In the pictures in this blogpost I applied a base coat, 2 coats of frosted gold and no top coat. It took a few minutes to dry so don't do some wild stuff with your hands after you applied this, let it dry first. It's pretty long lasting since it stayed on my nails for 5 days or so.